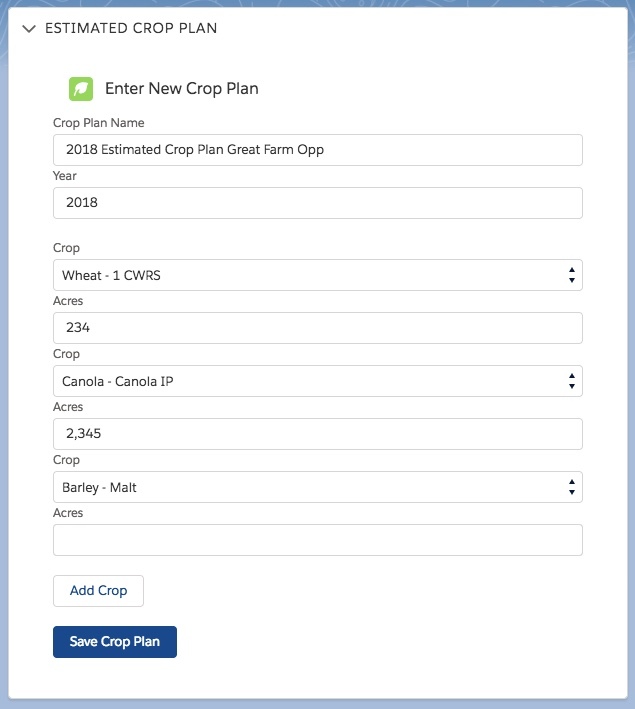 I'm working on a component to track Estimated Crop Plans for farmers. It's quite simple: we need to get the Crop and the number of Acres to be seeded. The component stores an array of crops and acres and then saves them as individual records. All of this is working well. I want to add the ability to delete or change an entry in the UI. For instance, in the example below, I want the ability to both change an entry (e.g., acres of Wheat from 234 to 15,000) or to delete an element (e.g., delete Wheat altogether). Below is the code for the Add Crop button. I assume I would have to create a modify/delete button for each item that is generated by Add Button that had a function(s?) to do what I want. I also assume that a splice() method would be helpful for deleting. I'm not sure what to do for updating. (1) Is it possible to access the array elements in the Proxy Target? If so, how? (2) Is this a good path to explore as I try to figure this out, or is there a better way? Thank in advance for advice. I'll update this post with more code/information if necessary. I tried different combinations (e.g. Proxy.target; Proxy.handler.target; etc.). I've also tried creating a function that returns the array variable above. All return undefined, if I don't get a syntax error. Basically, shooting in the dark. I think you are on the right path to figuring this out. I would refer to this developer guide on Proxy Objects. Removing elements from an array is simple if you know the index of the element. Like you mentioned, the slice function will help you with this. This snippet is taken from a stack overflow post. As for updating elements in the array, you pretty much just need to iterate through the array and then use some identifier to decide when to stop and modify the correct object. Then just update the aura:attribute to see the update on the screen. How to delete DataTable row and corresponding record?